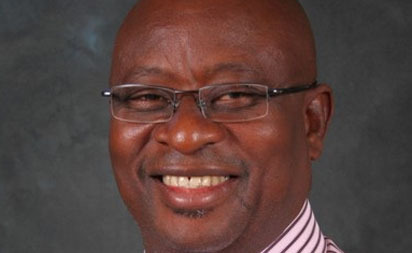 OGINIBU- FORMER Minister of State for Education and one of the leading Urhobo political leaders in Delta State, Olorogun Kenneth Gbagi, has said that no reasonable Deltan will seek to terminate the eight-year tenure of Delta North Senatorial District (Anioma), which Governor Ifeanyi Okowa is expected to complete in 2023. Gbagi, in an interview with NDV, predicted that Okowa will not only win the forthcoming governorship election, but complete his second tenure and handover to an Urhobo son as governor in 2023. His words: “ I want to repeat it for the umpteenth time, we have an agreement, we have a rotation plan, the rotation plan has worked from 1999 till date, and nobody in his right sense will truncate the plan because people are waiting, knowing that after Okowa’s election, the circle would have gone one full round. Gbagi, who commented on the latest endorsement of Okowa by Urhobo monarchs at the palace of the Ohworode of Olomu Kingdom, HRM Ogbon Ogoni-Oghoro, said: “Let me first of all use this medium to thank the Urhobo monarchs for their sense of responsibility and in another form, say that they have worked in line with my claim that some few Urhobos still have character. Their conduct with Governor Okowa for me, is what I can describe as garnishing what has been done. “It is taken for granted that no other senatorial zone other than Delta Central (Urhobo) will produce the governor of the state in 2023. So going ahead to sign that accord, for me, they have signed it in their right and belief that the man, Okowa, is a gentleman and he knows that he can do no less in supporting an Urhobo candidate in line with the understanding, agreement and rotation policy of the Delta people. “I see a lot of sense in what they have done. An accord in their understanding may be necessary, but the man we are dealing with is somebody that can be trusted. I think he is the most trusted in the state today given what he has been able to do in communities in the state. I have my trust in him that he will not renege,” he said. He disagreed with the suggestion that Urhobo monarchs were prejudiced in endorsing Okowa, saying: “No, the royal fathers are upshots of their sons and daughters, who are politicians and we have said it as politicians… unless you are saying that they should throw away their own politicians. “Politicians in the South-West sit down with their royal fathers and say this is where we are headed; politicians in the North also sit down with their royal fathers to tell them where they are headed. In fact, the naysayers should commend the strength and character embedded in the conduct of their royal fathers. They cannot be biased; they live amongst the people and know what the people said. “Is it not their children that are the politicians, so we have said that we have an agreement on power rotation and when people know that I speak the truth, which is why I proclaimed it when some persons were trying to obfuscate an understanding I know that we reached. “When I told you that Urhobo was part of the agreement for power rotation in the state, I was not telling a lie, it is the truth, we are part of it, and your paper (Vanguard) published it when I granted the interview. Let anybody who say that we, Urhobo, are not part of it prove it. I am part of the Urhobo leaders that took that decision. “Yes, I know that some people do not like those who say the truth, but is that what should make me to stop saying the truth? And it is because of not saying the truth that Urhobo, which is the fourth or fifth largest ethnic nationality in Nigeria, has taken a back seat in anything being done in the country. The industrialist and criminologist is evidently not happy with the factional leadership of Urhobo Progress Union, UPU, led by Chief Joe Omene, which directed Urhobo people to vote for President Muhammadu Buhari, All Progressives Congress, APC, governorship candidate in the state, Chief Great Ogboru and Senator Ovie Omo-Agege in the concluded presidential/senatorial elections and forthcoming governorship polls. He asserted: “Two things – Omene, as you know is from my maternal extraction of the state, Jesse area, we all used to stay together and play draft together in those days in Sapele. What happened in Omene’s regime before his tenure expired between him and PDP government in the last election and what led to the disintegration of the then UPU is a notorious fact. “I proscribed that body and till today, all the monarchs of Urhobo collectively swore against that administration. Some of them are still paying the price of their deceit and what they did against the Urhobo nation. So if you ask me, I will strongly say that whatever Omene has got to say should be taken with a pinch of salt, it does not really matter,” he added. His words: “And in any case, looking at the issue of the known President-General of UPU, Olorogun Moses Taiga, he has only spoken as a father of UPU today. Both the past President-General that was removed with so much stigma from office and Taiga are non-political, we are the political leaders that have come out in the state as Urhobos and declared that we have an agreement and the agreement makes it unequivocal that Governor Okowa should do his second term. “We cannot be seen as mischief makers, as people breaching an agreement and majority of Urhobos are keeping to that agreement, that is not to say that we do not have few people with discordant views, but among the larger Urhobo people, the agreement stands and by the grace of God, Okowa will finish his tenure and Urhobo will produce their own candidate for the second round of the affairs of the state,” he said. Answering questions on the insinuation that he is not the mouthpiece of Anioma nation and remark by APC chieftain, Chief Frank Kokori, that power rotation mouthed by PDP was unknown to APC, Gbagi said: “Much as I will like not to comment on Kokori as such, he knows for a fact that there is no APC in Delta State, in any case, the entire APC as it is today addressed is an offshoot of PDP. But I say it and that is the truth, APC is not standing in Delta State. If it is standing at all, it is not even with one leg, but half leg. “As I speak, the party is not contesting and not campaigning in Delta State. I come from a local government, Ughelli South, I know what we have done in Ughelli South, and I know what Okowa has done in Ughelli South and each local government in Delta Central. I know that in Ughelli South alone, we have got up to 80 appointments, and so are you now going to tell me that I cannot tell at my age what it was yesterday and what it is today? “My point is that we should grow up. Kokori himself will tell you that we have an agreement, anything that had stood the test of time for four years, eight years, 16 years is more than an agreement in law and as a lawyer, I am saying we have an agreement that has worked. “I have said it often times, people should stop deceiving themselves, nobody should belittle the matter by saying I am the mouthpiece of Anioma people, no, that is not the issue, I am a Nigerian,” he said.